If you do not notice the expected results, you can return any unopened package within 90 days. You will get your money back! With AcaiBerry900 you will lose 26 pounds in only 5 weeks. You will get rid of toxins and will have more energy. 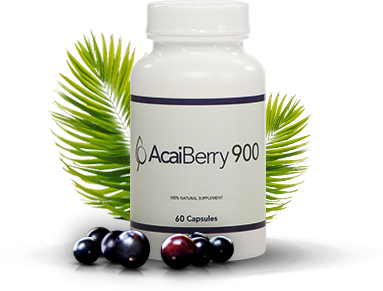 AcaiBerry900 is a product formulated from 100% natural ingredients. The treatment is completely safe and non-addictive. We respect your privacy - we do not share nor sell any personal information provided by our customers. You will receive AcaiBerry900 in discrete, grey packaging. The parcel will be shipped by the courier directly to you. AcaiBerry900 works on 94.5 % users. Effectiveness confirmed during tests. If for some reasons you cannot place an order via the online form, call us on +48 22 112-17-04 (from 8.00 a.m to 4 p.m) and give us all necessary information. Your order will be cash on delivery. I agree that my personal data is processed by JPT Investment Partners Limited, PC 3040, Cyprus, for customer relationship and other internal purposes. I also agree that my personal data is processed by other entities established in the European Economic Area. Special offer - buy AcaiBerry900 10EUR cheaper! 90 days for a refund - order without any risk. Within 90 days you can return the product and we will give your money back.